Call us at 1-770-720-1847 to discuss hawk rescue. We care for raptors (birds of prey) that cannot be released back to the wild. 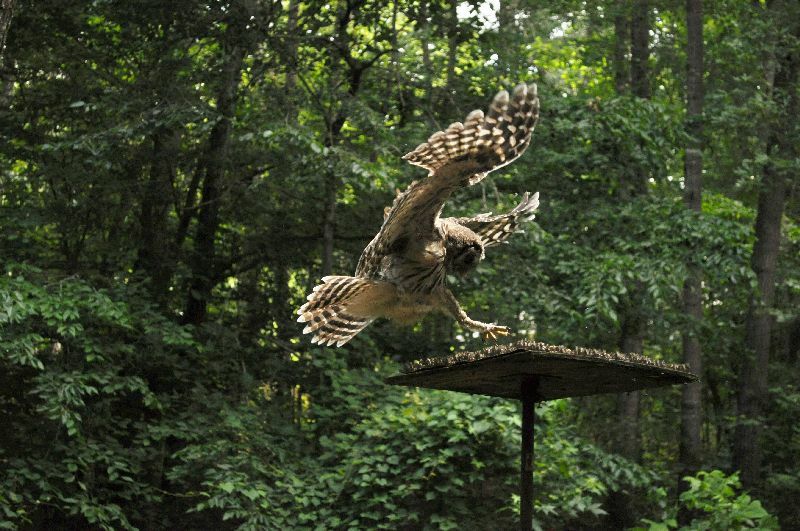 We also rehabilitate hawks, owls, eagles, kites, falcons and ospreys. You can also help out by visiting smile.amazon.com. They will donate to us based on purchases that you make and it doesn’t cost you anything. We are a 501(c)3 not-for-profit organization located in North Georgia providing hawk rescue and care for other raptors (birds of prey) including owls, eagles, falcons and osprey. We operate our facility based on donations from caring people who, for one reason or another, aren’t in the position to be rehabbers themselves, but are interested in and dedicated to the preservation and protection of raptors. We also do off site programs for schools, nature centers, scouts, birthday parties, public displays, etc. This is done on a fee basis. Please call for details! Hacking for hawk rescue or owl rehabilitation. Hacking is an old falconry technique that is literally, thousands of years old. Hacking (AKA soft release) is how we re-introduced the Golden Eagle back to the Cumberland Plateau in northwest Georgia, the American Bald eagle to the Lake Allatoona area north of Atlanta and the Peregrine Falcon in downtown Atlanta. We can help you with this procedure or provide it as a service. 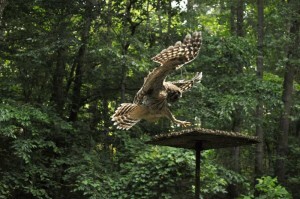 For more information, see our blog post on Hacking Orphaned Hawks and Owls. HawkTalk&comma; Inc&period; HawkTalk, Inc. shared a post. I received a call one day, probably 10 years ago, from a friend of a mom who had lost her son in a one car rollover crash. He was a good kid; smart, very popular and drove a Volvo, but had over corrected when one of his tires went off the pavement and the car's roof had been crushed by a tree, killing him instantly. The school was having a Lacrosse memorial game for him that Saturday evening and this friend asked if I could bring a hawk to fly around the stadium. The young man had always told his mom that he went before she did, he would come back to visit her as a Red tailed hawk, his favorite bird. Anyway I offered my apologies and ask where the young man was buried and it turned out to be a very small plot established in 1800 not 10 minutes from my house on Farmerville Rd in Milton. This lady told me that on several occasions when her friend had visited her son's grave, a Red-tailed hawk would be perched near the cemetery and how excited she was that he was sending her a sign. We finally said our goodbyes. I hung up and had a good cry. I went in to Mina's molted feather collection and picked out a beautiful tail feather that she had recently shed, then drove it over to the cemetery and found his grave, which was easy to spot, because it had a bench and a mailbox where his school friends left messages for him. There were all sorts of toys and other memories left for him which made me tear up all over again. I didn't want to be too obvious about where I placed the feather, like on the bench or in the mailbox, so I just closed my eyes and let go of it near his grave so I know she would find it. So big and bad only to be about 5 inches tall! Our first renest of the year! A young Great horned owl that looks like he could be close to branching, but might also have been blown out a little early from the storm that came thru Marietta last evening. These guys are late this year, probably due to all the rain - not sure, just a guess. Sometimes, renesting isn't possible due to various conditions, so that's when I take over and raise the youngsters via operant conditioning so that when I open the door, they don't just up and fly away to starve to death. They are trained to come to a hack board for food while they are toodling around here learning to owl and/or hawk. Since they don't have their parents, my job is to provide food for the young until they figure out what to do. The last of the youngsters are usually dispersed by the end of summer. There is no better trainer than the parents, so when they don't have their parents to complete the process, ghost feeding/operant conditioning followed by hacking is a very successful technique that has been used by falconers for thousands of years. This home owner has agreed to check on the baby to make sure the parents are coming in to feed. They will be looking for remains of the prey, castings and mutes (pee and poop).